Perez Hilton's "One Night In" music series had it's early beginnings in L.A. in 2007. A year later, he took it for the very first time to Austin's SXSW Music festival where it has now become an annual event. And since then Perez Hilton has taken the series and branched it out to cities like Brooklyn and Los Angeles where it has sold out in mere minutes even before an actual lineup has been announced. 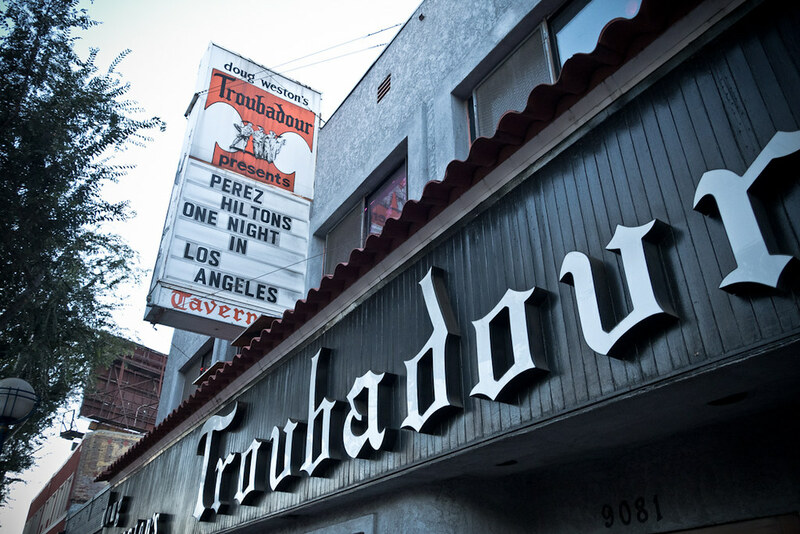 Saturday night, a star-studded event returned to Los Angeles at The Troubadour boasting a star-studded guest list and some of the music industry's hottest musical acts. 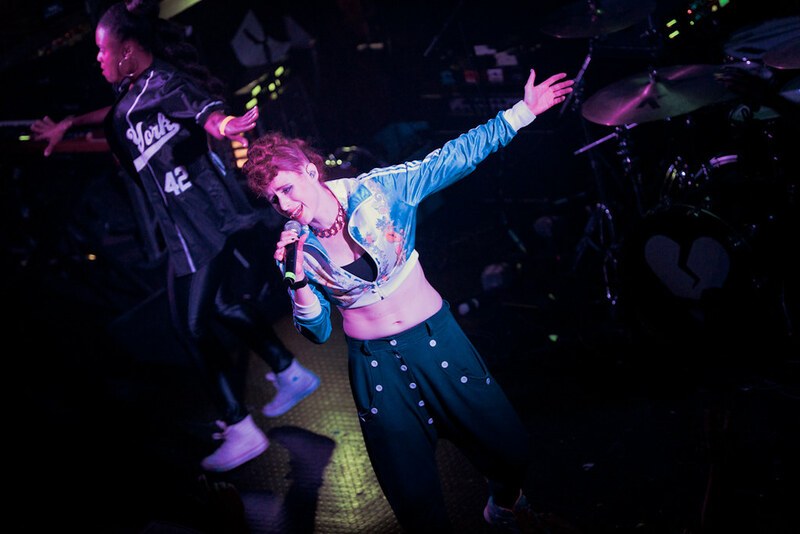 Kiesza headlined "One Night In Los Angeles" hosted by Perez Hilton. Perez, a self-confessed music junkie, has been responsible for breaking the biggest artists in the past - Lily Allen, Regina Spektor and Amy Weinhouse to name a few. And last Saturday was no different, curating a music lineup of his favorites, who if history holds true, will become the most buzzed about acts this year. Performing this night were Kiesza, Tove Lo, Rixton, Echosmith, Matthew Koma and Bebe Rexha. Perez calls Kiesza his favorite singer of 2014. Nominated for an MTV VMA for her video "Hideaway" for Best Choreography Kiesza video has already amassed over 92 million views! If you watch it you can see why. The video, shot in one complete 5 minute take shows Kiesza walking down the streets of Brooklyn dancing and singing with a cast of other dancers during this catchy dance tune. Kiesza performs this Tuesday at the sold out Roxy. With a highly anticipated debut album Queen of the Clouds dropping on September 30th, Swedish sensation Tove Lo stormed onto the music scene with her critically acclaimed EP Truth Serum, an album that launched worldwide dance hits "Not On Drugs" and "Habits" which was recently certified RIAA Gold and currently approaching Platinum status. Give it to the Swiss to write the soundtrack to our weekend. Tove Lo is yet another, in a string of recent Scandinavian acts, to bless this world with super catchy, anthem-esque choruses to dance and sing our hearts out to. 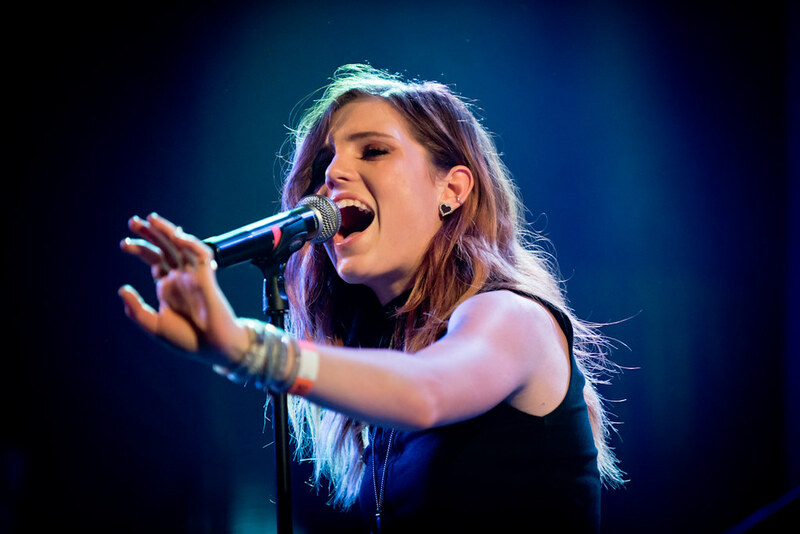 Sydney Sierota of Echosmith performs at Perez Hilton's "One Night In Los Angeles" at The Troubadour. Earlier in the night, Echosmith had a lot to prove after being one of the most buzzed about bands this summer. Their debut album Talking Dreams has rocketed them up Billboard's 'Emerging Artists' chart and the iTunes Alternative Chart with their infectious summer tune "Cool Kids." With rave reviews from music tastemakers like MTV, Entertainment Weekly, Filter Magazine and Seventeen Magazine, Echosmith is having a breakout year. Consisting of siblings Sydney, Jamie, Noah and Graham, this SoCal band just will head off on their headlining tour this November. Earlier this year, they recently finished off Van Warped Tour where they were a featured band, performing every single date on the summer tour. And this October, it was announced, they will be touring Neon Trees and then with American Authors for the Honda Civic Tour. Echosmith heads out on their headlining tour this November. The night was also a benefit for VH1's Save the Music Foundation, a nonprofit organization dedicated to restoring America's instrumental music education programs and raising awareness to the importance of music as part of children's complete education.